An IRA gunman, badly wounded during a robbery, is hindered and helped in his attempts to escape from the authorities in Belfast. Carol Reed chose to adapt F.L. Green 's 1945 novel Odd Man Out for its quasi-religious undertones, the opportunity it provided for a number of strong character scenes and for the seriousness with which it dealt with its tragic story of the 'troubles' in Northern Ireland, although in the film Belfast is not mentioned by name and the IRA referred to only as 'The Organisation'. James Mason is brilliantly cast as the almost mythic anti-hero Johnny McQueen, dominating every scene that he is in. Mason is introduced in clever fashion by having us first hear his velvety voice, still distinctive with a mild Irish lilt, before we actually see his face. A star of Mason 's stature was required because although his is the central role, Johnny is on-screen for a comparatively small proportion of the film. The narrative consists of a series of practically self-contained scenes, such as the darkly comic sequences when Dennis ( Robert Beatty ) is besieged by young kids or when he tries to escape the police by boarding an over-crowded tram. Others are almost Hitchcockian in their suspense, from the naturalistic, almost matter-of-fact robbery at the beginning, to the later scene in which Granny ( Kitty Kirwan ) and Kathleen ( Kathleen Ryan ) try to hide a gun and bandages while the police search their home. Odd Man Out is shaped like a Greek tragedy, with events developing from a single early mistake. This fatalism finds symbolic echoes throughout, with Johnny breaking his shoelace at the opening and Shell breaking his at the end; the recurring references to time and the Albert clock; the steps where Johnny was shot and where he killed a man; the shots of the Harland and Wolff shipyards which open and close the film. The film features a dizzying array of fine supporting performances, with W.G. Fay standing out for the humanity, grace and humour he displays as Father Tom. The latter part of the film is dominated by Shell ( F.J. McCormick ), who tries to 'sell' Johnny to turn a profit, in an example of scene-stealing that one critic likened to "grand larceny". 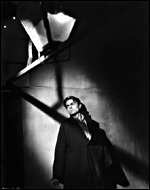 Odd Man Out is a feast for the eyes, with Robert Krasker 's sumptuous high-contrast photography and Roger Furse and Ralph Binton 's production design providing the vivid, realistic and yet clearly very controlled, 'poetic' feel that Reed was striving for and which anticipates his subsequent films, Fallen Idol (1948) and The Third Man (1949).